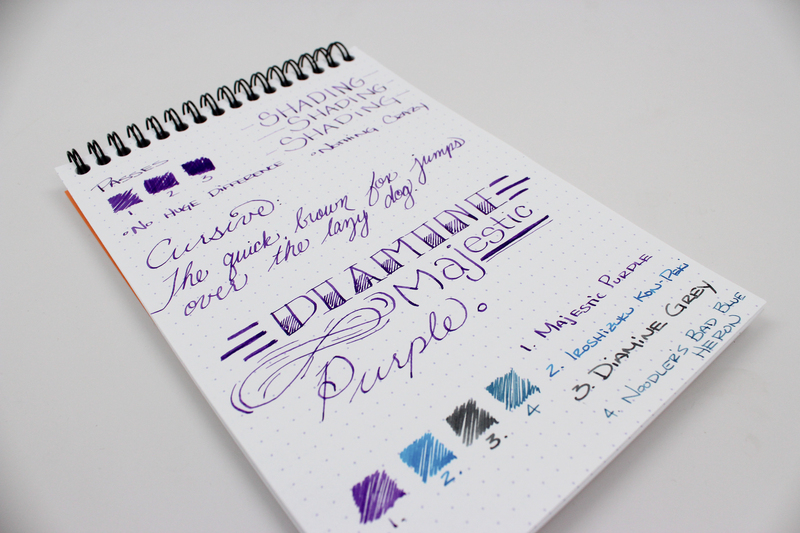 Notes: Usually I’m not the biggest fan of purple inks, but this one was actually pretty nice. It’s not my favorite color in the world, but this one is a nice shade. Personally, I don’t have much use for a purple ink but since it came in the January Ink Drop from Goulet Pens, I figured I’d load it up and try it out. I decided to put it in the Apple Green Safari because I was immediately reminded of the Teenage Mutant Ninja Turtles. The mix of the purple and green were the perfect mix for Donatello’s colors. Anyway…back to the ink. As with all the Diamine inks I’ve tried and reviewed, this ink is a solid performer. It had a little bit of shading, nothing crazy. I liked the level of saturation too. When I went over the ink a few times, it didn’t really get that much darker. I think I just ended up more thoroughly filling in the blocks I had drawn. 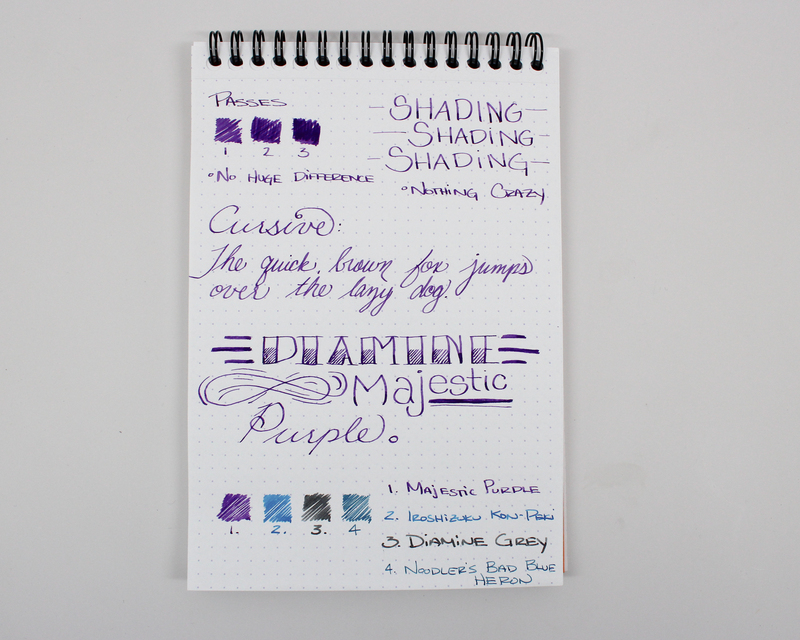 The smoothness and flow were exactly as expected from Diamine. They’re one of my favorite brands of ink due to their consistency across the line, the reasonable price, and the huge offering of colors. 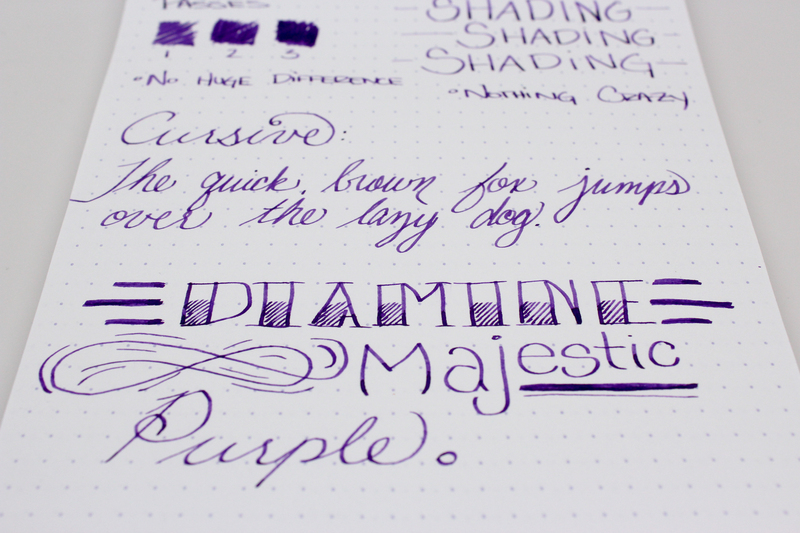 If you like purple inks, I would definitely recommend checking this one out. I really like the way this page turned out. Something about the color palette in the comparison inks went very nicely with the Majestic Purple. This photo made the shading appear to be a little bit more intense than it is in person. The color is pretty much dead on, but I don’t think it shaded quite as much. Hey, I love your ink reviews! 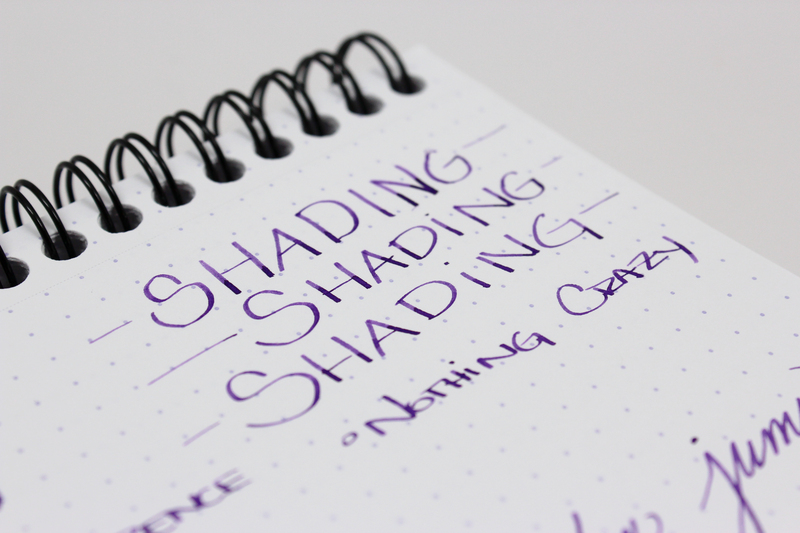 As someone who is looking to write a pen blog myself, I’ve been looking at a lot of different ones to get ideas on what to include in a review and how to organize it. So I was wondering, how do you choose the color comparison inks? It seems, judging by your recent ink reviews, that you use whatever you have in your pens at the time, right? Thank you! I’m glad you’re enjoying them. There’s really no science to choosing the comparison inks for me. You’re pretty much right, it’s what I have in my other pens at that time. If I have nothing that’s even close, I’ll just compare it to a black or a grey. Hope I could help! This is quite helpful for me because purple is my favorite color and I’m trying to branch out and try different inks this year. I love the look of your handwriting as well. Very nicely done! Thank you! I really appreciate it. 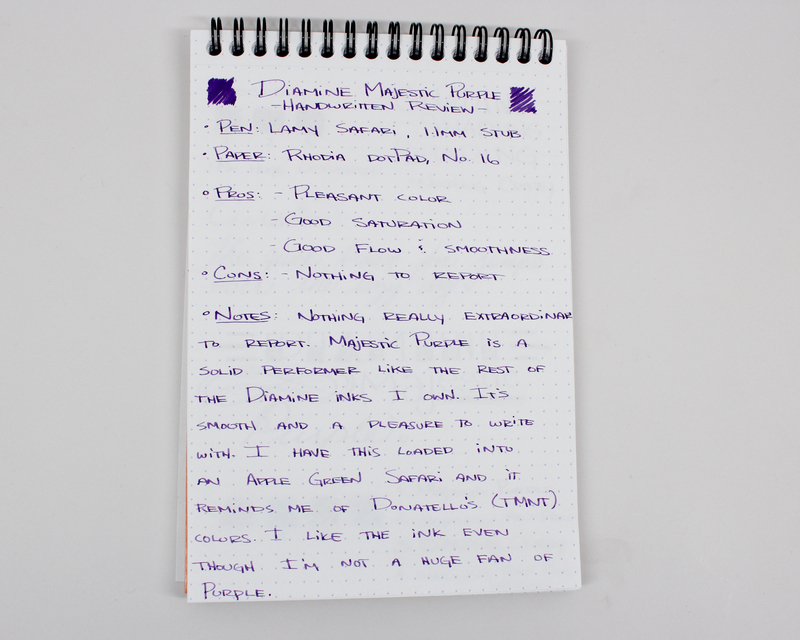 You may also want to try Noodler’s Purple Heart if you haven’t already, I really liked that one. It’s darker and has a bit more red in it. I was using it as an everyday writer until the sample ran out. Good luck on your search! You’re saying that like a Herbin rut is a bad thing! Also, one of my favorite dark greens is Diamine Evergreen. It almost looks black at first, but as it dries you can just make it that it’s green. It’s not a bad thing, really, I just want to branch out but really have no idea where to start. I love the Lierre Sauvage shade of green, and I have Orange Indien too which has great shading. Check out GouletPens.com (no affiliation), they have over 600 inks available and they offer samples! They come in 2ml size, and it’s more than enough to get a feel for the ink. I’ve tried easily over a hundred inks through them. It’s invaluable to be able to order samples before committing to a whole bottle.  I got started just by picking colors I liked, and once you have some more experience with other brands, it makes it easier to narrow down what you really want. Any water resistance? For me this is an important quality in fp inks, and in future reviews I’d really appreciate an assessment with regard to aspects of permanence. Don, typically I don’t do a water resistance test. Reason being, I’ve never encountered an instance (yet) where any of my writing materials have come into contact with water. If I needed to write on something I needed to be permanent, I would definitely use a Noodler’s bulletproof ink. Other than that, I feel like the water resistance tests get a bit extreme from some other reviewers. Usually I do many of my ink reviews on the go, on breaks at work, or sometimes in class and I can’t properly do a water resistance test. However, I’ll definitely give it a shot on my next ink review and see if I can work it into them in a way that I like. Wow, that shading is excellent! What a lovely purple. Thank you for your nice review. I’m usually not a big fan of purple inks, but this one was pretty nice. Thank you for reading!